UBS Financial Services has about 7,000 advisors across the United States, serving clients who have an average $143 million in invested assets per advisor. 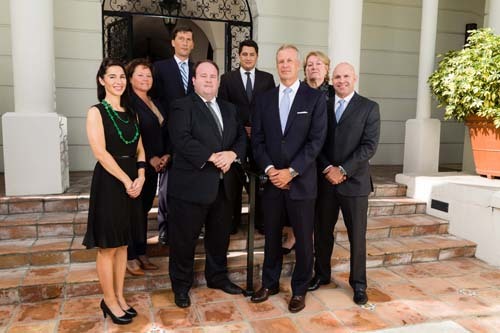 In Florida, one of the top UBS teams is led by Kurt Frederick Sylvia, managing director - wealth management, UBS Financial Services in Palm Beach. In terms of investment management services, the Sylvia team focuses on developing custom-tailored asset allocation strategies utilizing an array of different products, including equities, fixed income, structured products, and exchange-traded funds. But that’s just the starting point. Through UBS Sylvia and his team also provide gold custody services, and provide financing solutions for clients seeking to purchase new yachts, private jets or multi-million dollar paintings and sculptures. Drawing on the global resources of UBS, Sylvia also helps clients with their private banking requirements, trust and estate planning services, tax management and philanthropic strategies. Sylvia is one of the nation’s top wealth managers at UBS with more than 20 years of experience in serving the affluent market. In 2014, he was named one of the “Top 400 Financial Advisors in the U.S.” by Financial Times and one of the “Top 1200 Financial Advisors in the U.S “by Barron’s magazine — the latest in a long string of accolades. A graduate of Providence College with a bachelor’s degree in finance, Sylvia is a resident of Jupiter with his wife and two children. He is a founding member of the 100 Friends of the First Tee Palm Beaches, and is also active in the Jupiter Medical Center Foundation, American Cancer Society and The Nantucket Cottage Hospital. His professional team at UBS includes Francis Patrick Connolly, director; Timothy Scott Smith, vice president — wealth management, a financial advisor responsible for financial planning, assistance with portfolio management and client services; and Nathan Donald Krueger, CFP, vice president — wealth management, a certified financial planner and portfolio manager. In addition, the Sylvia team offers its clients access to UBS global investment portfolios, which are multi-currency, multi-asset class, unified accounts managed by investment professionals around the world. “Our clients have the ability to hold positions in multiple markets in native currency and non-dollar assets, and seamlessly execute trades and currency plays in over 37 countries,” says Sylvia. As team leader, Sylvia stays in close touch with clients, listens carefully to their needs and brings in professionals with the expertise to provide the right solutions. For example, Sylvia last year assisted a South Florida family in selling a business by referring them to UBS’ global investment bank. “UBS’ investment bank sourced the investors, and worked with the family to achieve their goals,” he says. “When the sale closed, our advance planning group worked closely with family members to ensure effective integration of tax and philanthropic planning, as well as asset management services. We also helped in defining the long-term goals for this multi-generational family. Take family trusts, for example. “It’s very important to set investment objectives and determine the acceptable level of risk for each trust,” says Sylvia. A multigenerational trust, for instance, might focus on steady growth as well as preserving capital with a time horizon measured in decades. On the other hand, a trust designed to maintain an individual or a couple’s health and lifestyle might focus on providing income, while protecting personal assets. Other types of trusts can be designed to protect the interests of children or grandchildren with special needs. Looking at recent trends, Sylvia says some ultra high net worth clients take a straightforward approach to investment management, creating portfolios based on blue chip stocks and municipal bonds that provide tax-free revenue. However, other clients are concerned about increasing volatility within the fixed-income market, including corporate bonds and other securities.